Unless you are not allergic to cats, then you probably know a lot of people who own these furry animals as pets. Some people own more than one cat only because they have a tremendous amount of love for these animals and possibly because they can afford to take care of all of them! 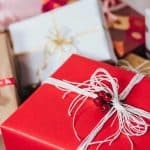 If you know a person or multiple people who love cats, then you can swift through these gift ideas to figure out what kind of gifts you want to give to them on their birthday, a present for their cat, or just something you feel like buying for them. Who said that you needed to choose between a cat or a dog. You can have both as your favorite animals. 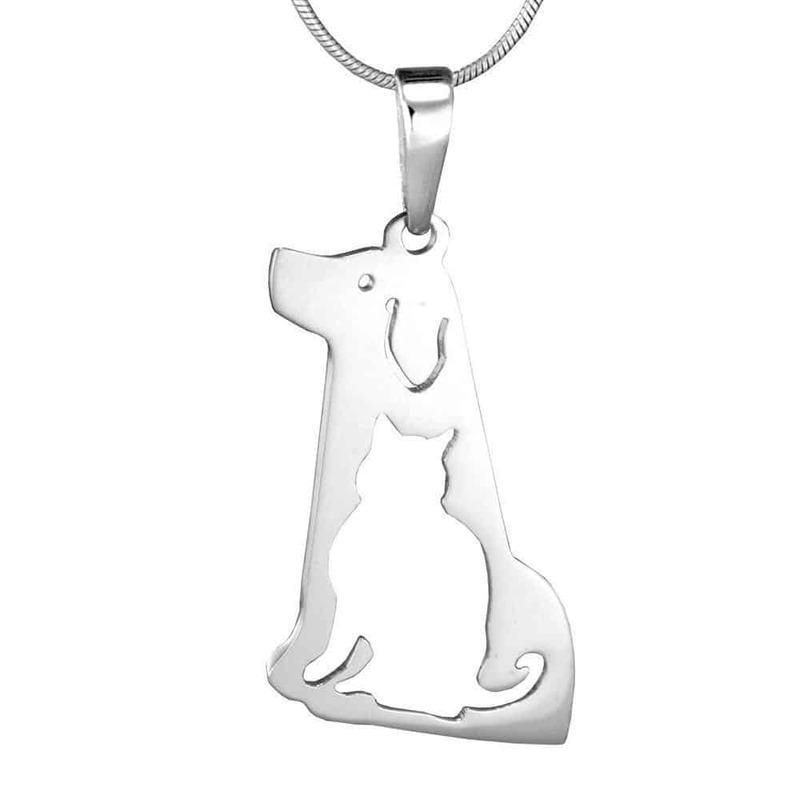 You can give your cat lover this cat and dog necklace which has the shape of a cat in the middle of the necklace. This way they can let people know which animal is there most favorite out of the two. 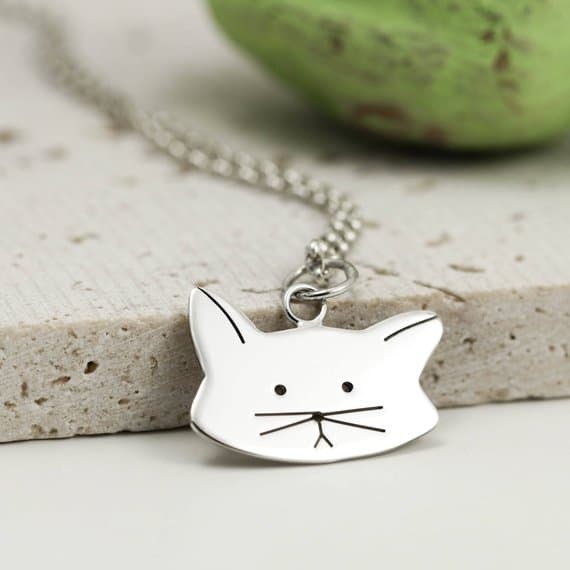 The necklace is made from sterling silver and it is a great gift for a cat lover. Do you know someone who loves to decorate their phone with accessories and cute phone cases? 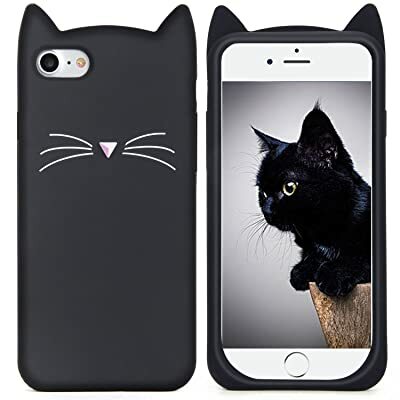 This cat phone case is compatible with iPhone 6/6s. Its silicone material is soft and flexible while also being durable. There is a picture of a cat’s whiskers and nose on the phone case. 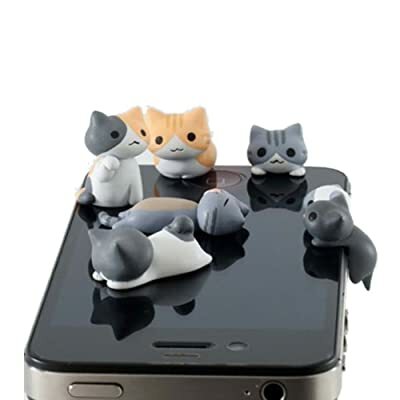 This is a great gift for iPhone users who love cats. Having cute and aesthetically pleasing utensils to eat or drink with makes using them more fun. These stainless steel cat designed tableware can be used for tea, coffee, and dessert. If you know someone who is adventurous then they can use it for their food as well albeit, they are a little small for that. This tableware comes in a set of four (black, silver, gold, and rose gold) spoons that is rust free and long-lasting. They are easy to clean with smooth looking edges and is dishwasher safe. 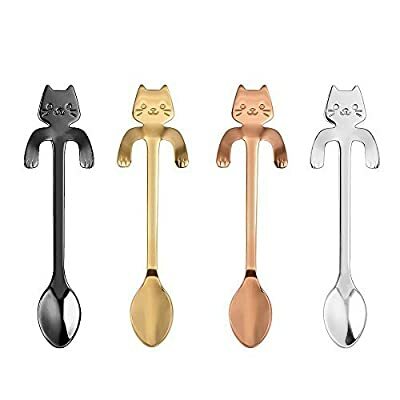 This is a great gift for cat lovers who love cute things and have a preference for all cat-like kitchen utensils. Maybe your cat-owning friend is tired of seeing scratches on their couch. If that’s the case, you can gift them with this cat tree that will preoccupy their kitty’s time. Their cat would have privacy and their own little play space. 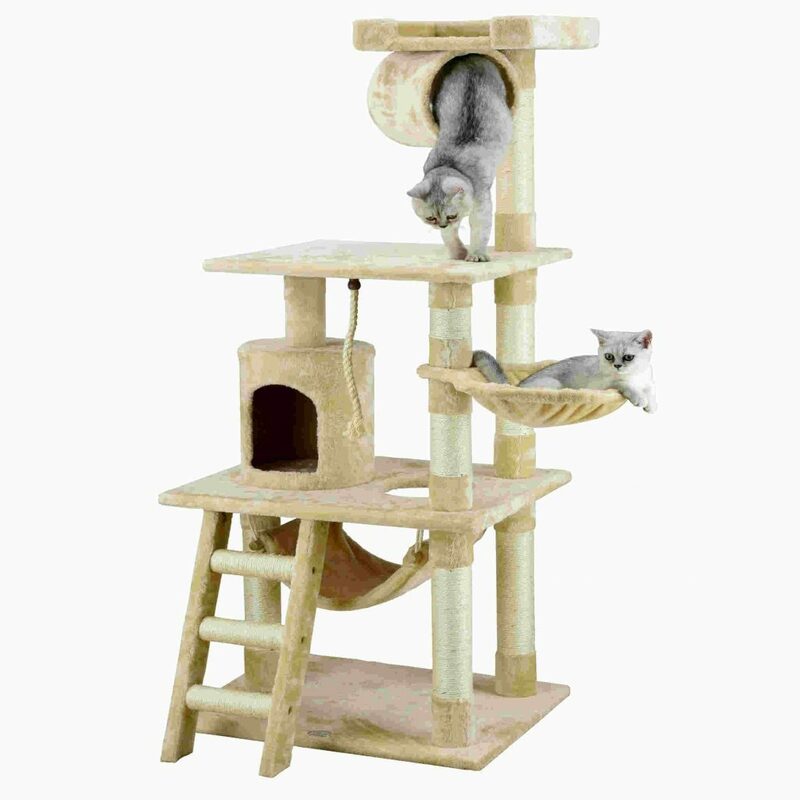 This cat tree is 62-inches and their cat would be able to scratch, bite, and leave their owner’s couch alone. It is made from faux fur, pressed wood, and sisal rope. If you know someone who doesn’t necessarily own a cat but has lots of pictures of these furry animals on their walls, then what’s one more picture? 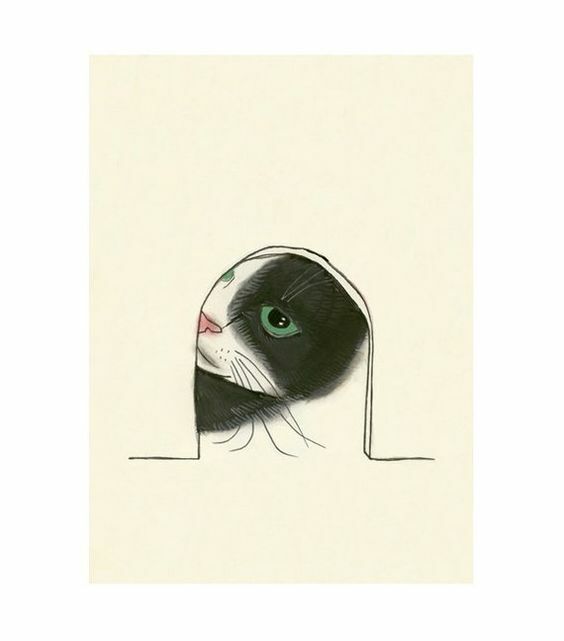 You can gift them with this 5.8 x 8.3 inches cat drawing that was drawn on matte archival paper that asks if “anyone’s home.” They can frame it and give it a home on their wall next to every other picture they might have! 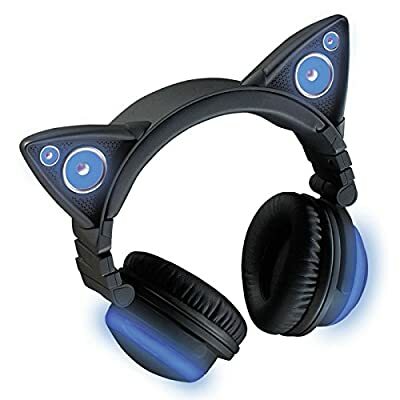 Anyone who likes cute and cat-like accessories will definitely love to use these stylish headphones. These headphones come in various colors, so you have the option of picking which one you want to give to your cat loving friend. They are wireless, have additional speakers that can be used to share music with others, Bluetooth capability, and color changing the light. This is a great gift for a cat lover to have a fun experience with their music. 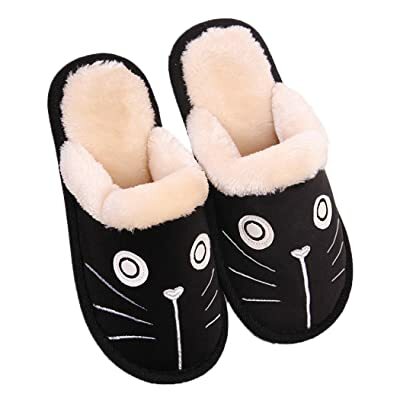 Keep your loved one’s feet warm when the winter comes around with this pair of cat house slippers. It is plush on the inside and the exterior is designed with a cute cat character. There are various colors and cat characters to choose from when looking to find the right one for your loved one. This pair of slippers should be hand washed and dried flat. This handmade cat necklace is a great gift for your cat loving friend. They might be the friend that doesn’t have a cat but thinks cats are so precious. 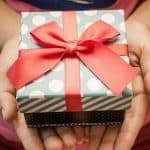 You can gift them with this sterling silver necklace and you can choose which style of chain you want to the pendant to come with. Now you can give your friend the opportunity to wear their love for cats around their neck. Who said you can’t go to bed in style? With this cat nap pillowcase set, you will be able to give your loved one the best way to go to sleep. 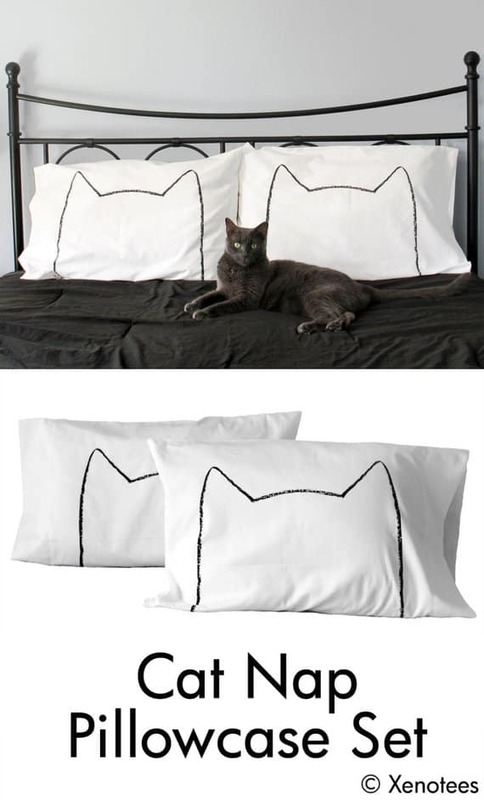 This pillow set is made from 100% cotton, the cat drawing is hand-printed with eco-friendly permanent water-based ink. 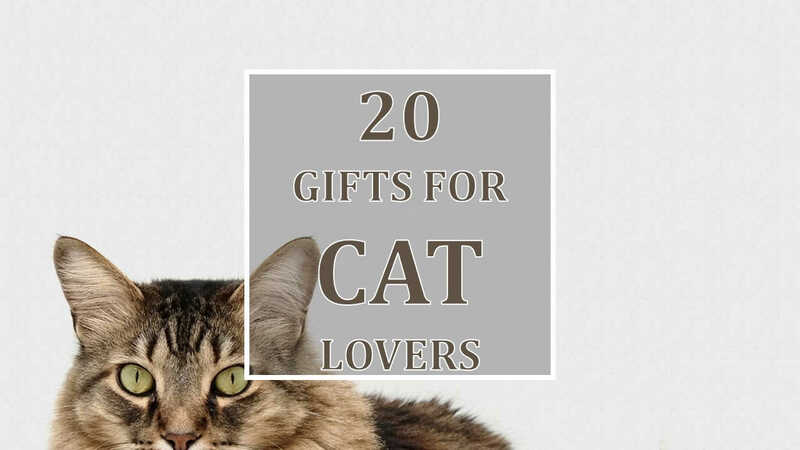 This is a great gift for all cat lovers. 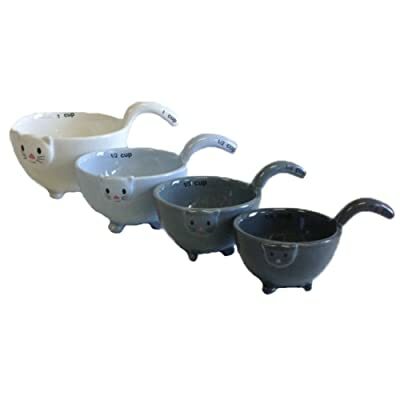 Cooking in the kitchen can be a lot more fun with these 4 ceramic cat measuring cups. They are made of glazed ceramic and hand painted with the measurements with a tail that work as the handle which makes pouring easy. This set of four measuring cups measures ¼, ⅓, ½, and 1 cup. This is great decor for kitchenware and is a great gift for cat lovers who love to cook. Drinking seems to be the best way to hang out with friends. If you have a loved one that drinks frequently and happens to be a cat lover, then these cat silicone rubber coasters is a great idea. It absorbs moisture from their glass and will keep their tabletop dry and won’t leave any stains. 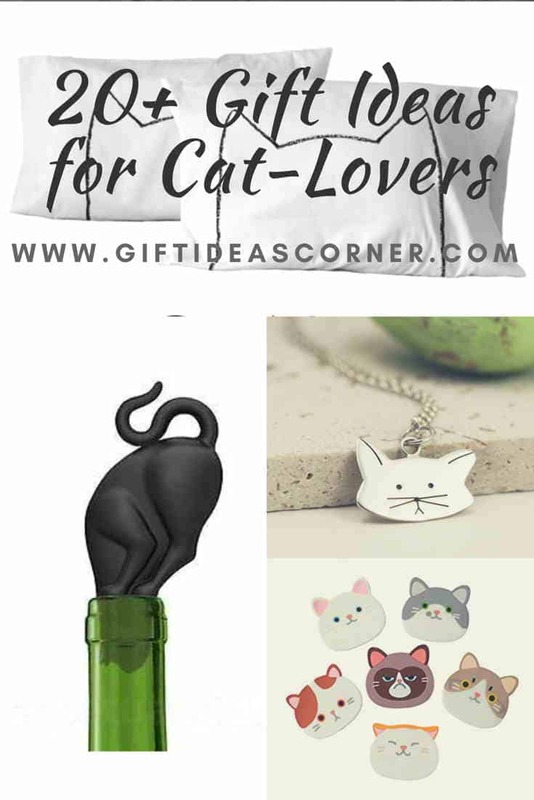 They are cute and stylish and this is a perfect gift for cat lovers. This cotton tote bag is great for everyday use. You can gift this as a present to a friend that loves all things that involve cats. This bag can hold up to 30 pounds of weight and there are two small pockets on each side to store small items, like maybe their keys or wallet. 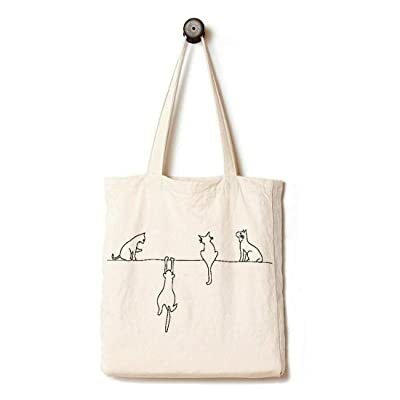 You can get this tote bag that is a perfect gift for cat lovers who can’t resist a bag they can use for just about anything. 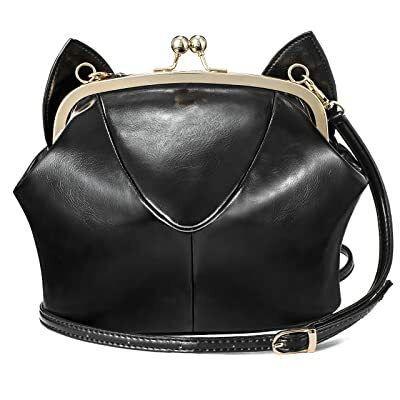 This leather over the shoulder mini crossbody bag has a cute cat ear design made for people who love cats. If you happen to know someone who likes purses and cats with the same enthusiasm, then you can gift them with this handbag. This bag has adjustable straps, a coin purse-like closure and it is very strong. 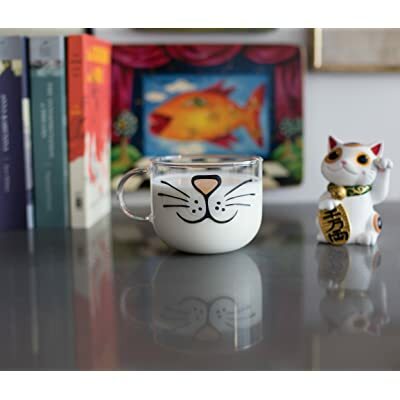 This cute acrylic tumbler would let your cat-loving friend drink on the go when they are in a rush. 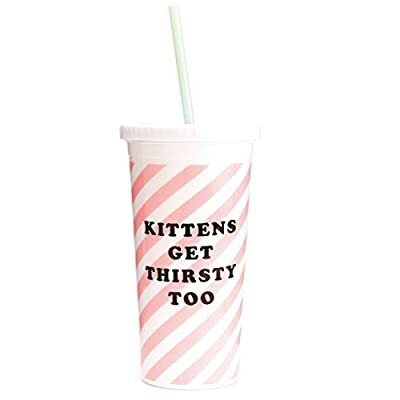 It can hold up to 20 ounces of any of their favorite beverages and the front of the tumbler is designed with pink and white stripes with the words “Kittens gets thirsty too.”. This is a great gift for a cat lover, so they can have a little laugh when they look at this tumbler. Giving someone this tea set will let them enjoy their day even better. This set comes with one black and one white cat coffee mug. Each of these handcrafted mugs holds about 14 ounces of liquid. 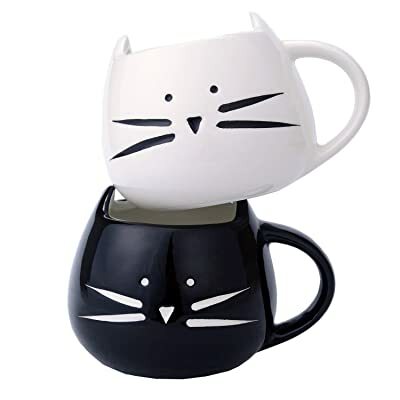 Gifting a cat lover this tea set will allow them to use it for tea, coffee or their favorite drink. Do you know someone that has a specific taste for wine? 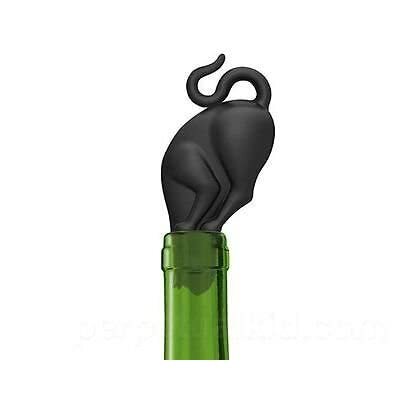 This hilarious wine stopper is great for the cat lover that sips wine. It is made from silicone and will help preserve wine until the next time they are ready for another glass. 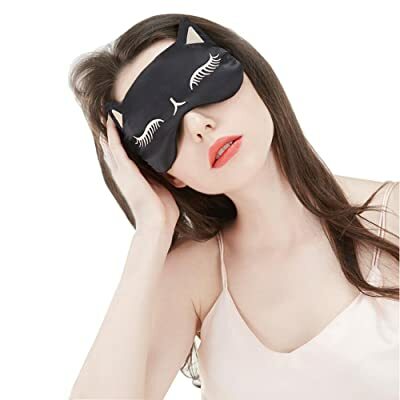 For the best kind of sleep, you can gift your cat-loving friend this kitty sleeping mask. The silky material will release their facial stress and give them a good night’s rest. It’s comfortable and will cover their eyes to block out the lights. 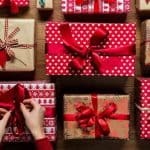 There are three colors to choose from: black, red, and pink. You can create a cat beard with this mug! This mug will thrill a cat lover at the idea of having a cute cat beard as they drink their favorite beverage. 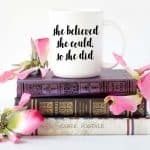 This mug is unique and is handmade and is a great gift for a cat lover. The best way to wash this mug is by a dishwasher. Jewelry is a great way to express yourself. By gifting a cat lover with this glossy cat earring, they will be able to show off their love for cats. 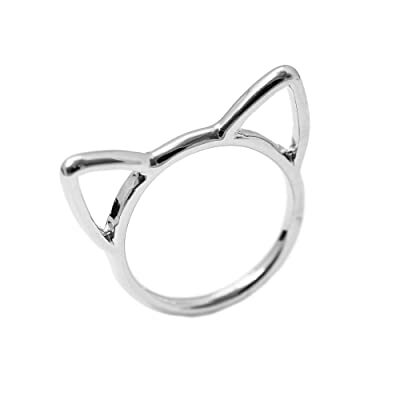 This ring is made from silver, but you have the option to purchase it in gold depending on the preferences of your cat loving friend. Sometimes it is frustrating when your phone starts to collect dust in its audio sockets. You can help a friend out by gifting them with these anti dust are phone jacks to prevent dust from going in. If your friend happens to be a cat lover then they will love this even more. The dust plugs are cat inspired and it will be a cute accessory to their phone. 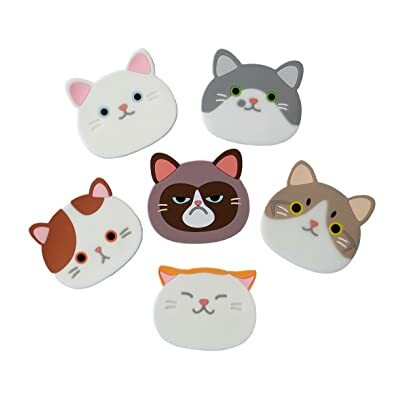 This cat plug stopper includes six pieces of cat dust plugs and it comes in different colors and shapes.